Elevate your mind, body and spirit at the SOULSYNC FitYoga Festival. With over 20+ fitness and yoga classes to choose from, participants will be able to attend unlimited classes led by local instructiors with options from challenging to chill. In between getting your movement on, visit a variety of vendors in the marketplace or head to the lounge to enjoy complimentary refreshments. Elevate your mind, body and spirit at the SOULSYNC FitYoga Festival. With over 10+ fitness and yoga classes to choose from, participants will be able to attend unlimited classes led by local instructiors with options from challenging to chill. In between getting your movement on, visit a variety of vendors in the marketplace or head to the lounge to enjoy complimentary refreshments. 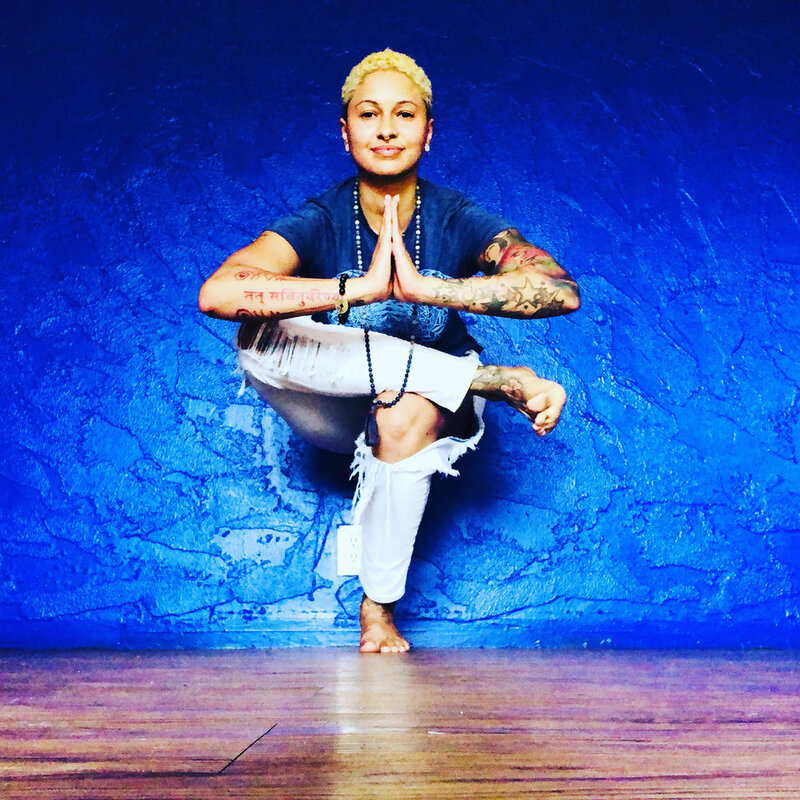 Tashira is an Air Force veteran, who served in operation Iraqi freedom from 2005-2006, a licensed practical nurse, an Ayurvedic Wellness counselor in training, and a licensed Tantra/Hatha yoga instructor. She obtained her yoga teacher certification in Bali Indonesia under intense training and immersive study. She has diverse experience in the medical field with a passion for acquiring knowledge through self study and wisdom through fearless experience. After a mind opening and soul awakening experience with Ayahuasca in Peru, her views on health and medicine shifted. Shortly after her trip, She experienced a life threatening event in my personal life, leaving her in a mental and emotional mess. She turned to yoga to help her cope and heal both emotionally and spiritually! It was then that her passion to share yoga with the world was born. During her journey into Yoga, she was introduced to Ayurveda, an eastern medical science focusing on prevention and life enhancement. Sign up with your email address to receive SOULSYNC news and updates. Want to See a FitYoga Festival in Your City?